Femoroacetabular impingement, also known as FAI, hip impingement or labral impingement, causes your hip bones to have an abnormal shape. This irregular fit results in the hip bones rubbing against each other, causing pain and joint damage. Putting off FAI treatment can result in permanent cartilage damage and osteoporosis. If you believe you have a hip problem like impingement, seeing a doctor will improve your recovery. Fortunately, Dr. Mufaddal Gombera offers medical resources and services for patients who have orthopedic pain. How Does Femoroacetabular Impingement Happen? Our hip joints have several parts that work together. When even one of these parts has a different shape or position than usual, your hip doesn't move the way it should. 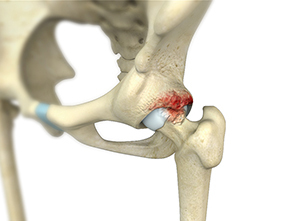 A normal hip has the top of the thigh bone (femoral head) slotted into the pelvis' hip socket. They fit together like a ball and socket and provide a full range of motion thanks to the cartilage around them. Most cases of FAI involve combined impingement. Hip impingement often occurs due to abnormal bone growth during childhood. It can also happen in people who put repetitive strain on their hip joints, such as athletes. Certain bone conditions also cause impingement. What Symptoms Does Labral Impingement Commonly Cause? Do Certain Risk Factors Increase Your Chance of FAI? How Does Dr. Gombera Diagnose Femoroacetabular Impingement? Medical history review: Your doctor will want to see if you have any of the risk factors mentioned above. Physical examination: The doctor will talk to you about your symptoms and conduct a general physical exam. As part of this examination, they'll probably perform an impingement test. During the impingement test, the doctor lifts your knee up to your chest and turns it inward. If you feel the same hip pain you came to the doctor for, you likely have impingement. Imaging tests: Tests such as X-rays, MRIs and CT scans let the doctor look at the joint directly. X-rays show excess bone, while MRIs reveal torn cartilage. A CT scan gives the doctor a good look at the overall structure of your hip joint. What Are Nonsurgical Options for Labral Impingement Treatment? Reducing physical activity: Traditional rest or avoiding certain actions puts less strain on your hip and lets the damaged cartilage heal. Physical therapy: Certain physical therapy exercises strengthen the muscles in your hip so that they can support your joint more effectively. The muscles take on some of the stress that strains your cartilage. Medication: Non-steroidal anti-inflammatory drugs (NSAIDs) come in the form of painkillers like ibuprofen. These drugs have prescription-strength forms that offer more relief than over-the-counter varieties. Hip injections: During this treatment, your doctor injects medicine into your hip that reduces inflammation and pain. Doctors sometimes use hip injections to determine where the pain in your hip comes from. How Does Hip Impingement Surgery Work? The doctor creates two to three tiny incisions between one-quarter and one-half of an inch long. A small camera called an arthroscope enters the incision and lets the doctor see inside your hip. Using thin instruments, the doctor repairs and cleans damaged tissue. They may also remove the excess bone causing the FAI. You can go home the same day of surgery. Post-operative recovery times depend on the patient, but you can stop using crutches within a week or two. Remember to follow the post-operative checklist. 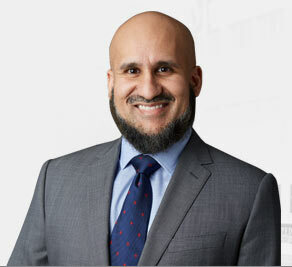 Dr. Mufaddal Gombera helps patients in Houston, Cypress and Beaumont get back to doing what they love by addressing their shoulder, hip and knee problems. 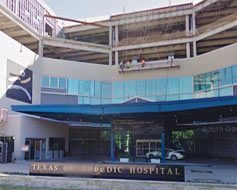 His practice at Fondren Orthopedic Group offers care just south of the Texas Medical Center in Houston. He uses his board certification and fellowship training to help athletes and everyone else get back on their feet. We always accept new patients looking for solutions to their orthopedic issues. Contact us online or call us at (713) 794-3457 to speak with one of our staff members.